Today was a holiday in Hong Kong, so the girls were out of school. 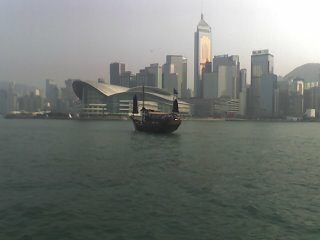 We decided to explore a little bit over on HK Island. We took a trip up the Soho escalators, had lunch at El Taco Loco, walked through the HK Botanical Gardens, then rode the Star Ferry to Whampoa Gardens in Jusco and had dinner at Outback. Wow! What a day! 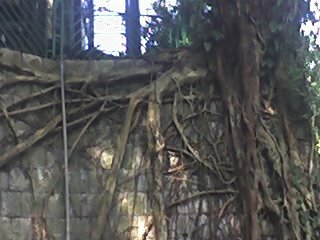 A "deep rooted" tree at the HK Botanical Gardens. A Chinese Junk in Victoria Harbor.